A new study by Baylor University sheds more light on the relationship between workday breaks and productivity — all the while debunking a few commonly-believed myths in the process. The study followed 95 employees over the course of five days, analyzing a total of 959 study breaks over that period. As it turns out, traditional wisdom regarding workday breaks doesn’t hold up against empirical scrutiny. Mid-morning breaks are more replenishing than afternoon breaks. No evidence that non-work-related activities are better. “Preferred” activities are more replenishing than “non-preferred” activities — even if those preferred activities are related to work. Frequent short breaks are more replenishing than fewer long breaks. What does this mean for you? 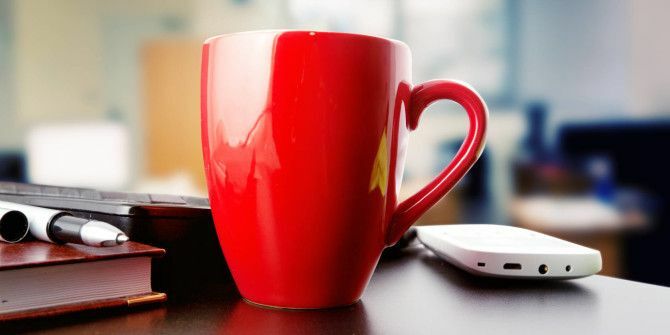 Consider skipping your morning inbox cleanses and save your emails for mid-morning breaks Can't Put Off Email Every Morning? Try This Ritual Instead Can't Put Off Email Every Morning? Try This Ritual Instead Starting your day the email way is regularly put down – even though most of us do it. Is checking email after waking up really so bad? Read More instead. As long as you’re doing something that you want to do during your break, it should come with a healthy dose of rejuvenation. We still recommend exercising at your desk 8 Easy Exercises To Help You Stay Fit At Your Desk 8 Easy Exercises To Help You Stay Fit At Your Desk Staying fit at your desk is actually possible. Here are some exercises anyone can do. Some don't even require getting up, others take no longer than 10 minutes out of your daily routine. Read More whenever possible, but you don’t have to. When do you take breaks during the day? And what do you do during those breaks? Do these findings resonate with your own experiences? Tell us about it in the comments! Explore more about: Breaks, Productivity. When I Am **Presented** With A Surprise Endeavor, More Often Than Not, Nature Forces Me To Take A **Break**. Lots Of Times, Those **Breaks** Were Extremely Productive, Because, When My Mind Was Completely Elsewhere, I Had A Small Epiphany And I Found A Solution For Some Long Lasting Problem, I Was Stuck With. Glad I Am Not The Only **Freak** In Town. A sample size of 95 employees is too small for any kind of meaningful data, especially over the short term. For that matter, five days is an absurdly short term. Wake me when there's a study tracking several thousand workers over the course of an entire year. Statistically speaking, you're right -- but studies like this show that maybe our current understanding is wrong and we need to investigate some more. That alone makes them worthwhile to consider, imo. There is a reason it is called a "break", it breaks your concentration on a given task. When you are "stuck" trying to solve a problem, a brake might help. If, OTOH, you are making progress towards a solution, chances are a brake will derail your train of thought. A generalization about the effect of breaks on productivity is just as wrong as all other generalizations. Of course, the nature of generalizations means that there will always be exceptions. Generalizations (like the ones in this study) can be helpful as long as you're aware of the exceptions. That being said, you're right, there are legitimate reasons to take "breaks", and you've listed a few of them.